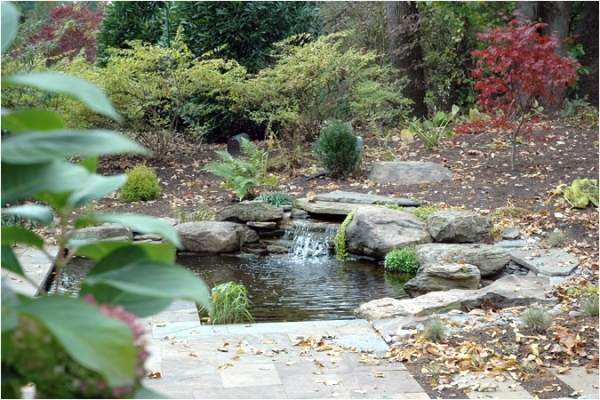 While outdoor cooking and outdoor entertaining go hand in hand, having the perfect environment to do so can be tricky. 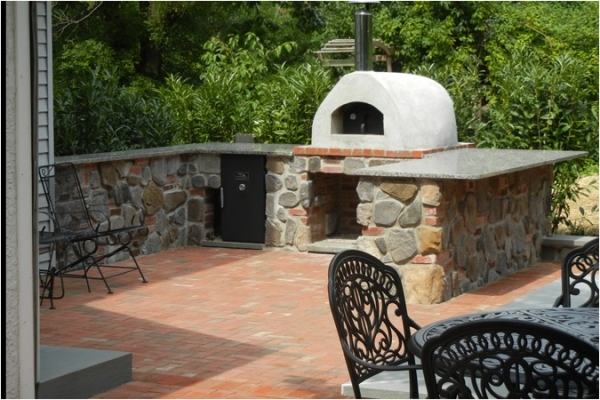 B. DeMichele Inc. has many years of experience in designing and building outdoor kitchen areas. 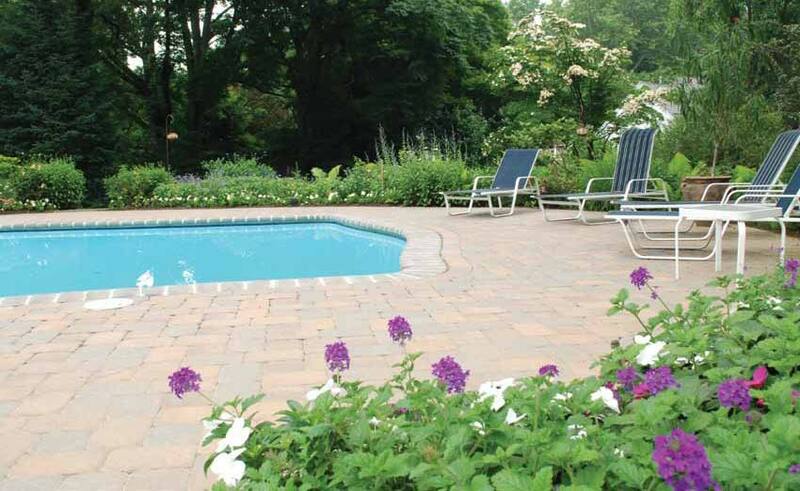 From a basic barbecue island with grill, to a fully functional outdoor kitchen, B. DeMichele Inc. is your design-build company for outdoor living! The days have come and gone where it’s acceptable to just roll your grill back to your patio, or pull out your charcoal briquettes. Outdoor living has taken over, and the center feature of this new trendy fad is a well-designed outdoor kitchen. 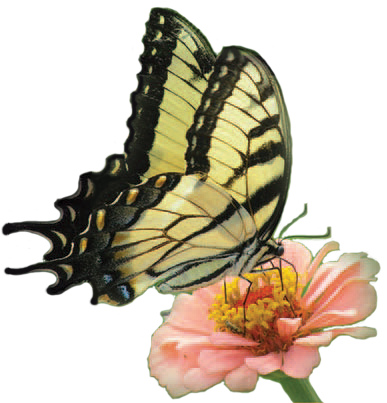 Our designs are functional enough for everyday use, but savvy enough to show off at your next backyard party. Our outdoor kitchens range from super-practical to super-chic. A good stainless steel barbecue grill is the backbone to any outdoor kitchen area. These grills can range in price from the very affordable to the insanely extravagant. They can do everything except eat your meal for you! 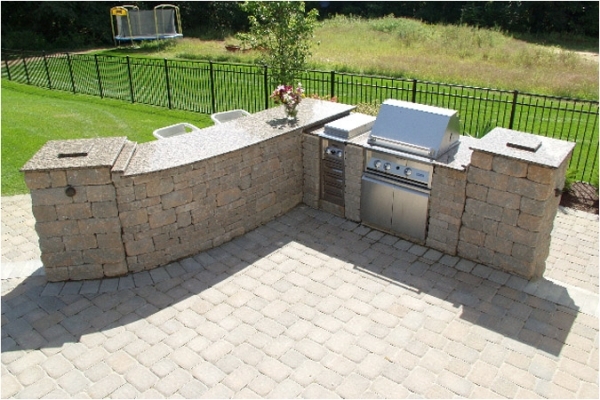 All of our outdoor kitchens start with a well placed grill location and then expand from there. The access panel is another must have, and are included in all of our outdoor kitchen setups. The final must have is a good barbecue light! No more holding the flashlight in your teeth, while trying to sear your steaks to perfection. Basic counter tops include several different colors and types of natural cut flagstone. 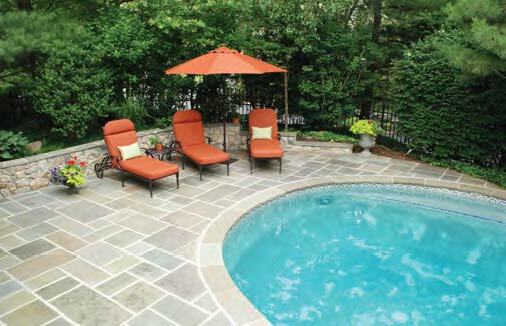 Flagstone counter tops seem to be the most popular choice and cost-effective installation technique for outdoor kitchens and barbecues. Our flagstone kitchens are finished with a chiseled edge, smoothed edge, and then can be sealed to help grease and food staining. Many clients can be content with the basics, but those serious about outdoor living have got to “splurge” with a few upgrades. Outdoor entertainment revolves around cold drinks and cool refreshments on a hot summer day. The stainless steel fridge or ice cooler is a very popular upgrade. A fridge can keeps drinks cold for whenever you pop out for a snack, while an ice cooler is a great investment for those who want to create a “free-for-all” at an afternoon swim party. For the “organized” side of us, stainless steel drawers and cabinets create a “sealed” environment in which to place your cooking accessories, utensils, and seasonings. You can also go as far as stainless trash bins, paper towel holders, and propane tank drawers. Our clients tend to prefer our travertine counter tops because of their “high-end” look, price point and overall value. Travertine counter tops are easily sealed, easy to clean, and offer that Tuscan outdoor look that blends into each of our landscape projects. Few would argue that a dishwasher, warming drawer, or pizza oven would be a great addition to any household – but the truly committed have these items right there in their outdoor kitchen environments. The sky is the limit when designing your outdoor kitchen. It is intended to be the kitchen away from home – right in your own backyard! Our expert recommendations for “gourmet” counter tops are usually a solid outdoor surface like granite slab, granite tile, or porcelain tile. All of our selections are classy and elegant surfaces, easy to clean, easy to maintain, and stand the test of time. What more can you ask for in an investment like your very own Outdoor Kitchen? Don’t get caught up in making the GRILL the center attraction – remember, it gets hot and smoky – which doesn’t create a very nice place to hang out during grill time! Put the grill off to the side, and keep it close to the backdoor! Walking across the backyard to grill every night can get old very quickly. • Bond beams, rebar, and solid filled block – it’s an industry standard to think that just stacking block and stuccoing it will suffice, but our mason’s mortar every block, and then take it a step further by filling it solid with rebar and concrete – making cracks a thing of the past! • Counter tops – I think all of our clients will agree that our counter tops are “kitchen quality” since they most resemble something you would find in your kitchen instead of your backyard. The overhang and solid concrete underlay is the critical difference. The tile work is meticulously done over solid concrete and offers an overhang on all sides. For those who prefer granite counter tops on their barbecue, our fabricators work efficiently with any slab selection, making your outdoor kitchen look every bit as fabulous as your indoor one.